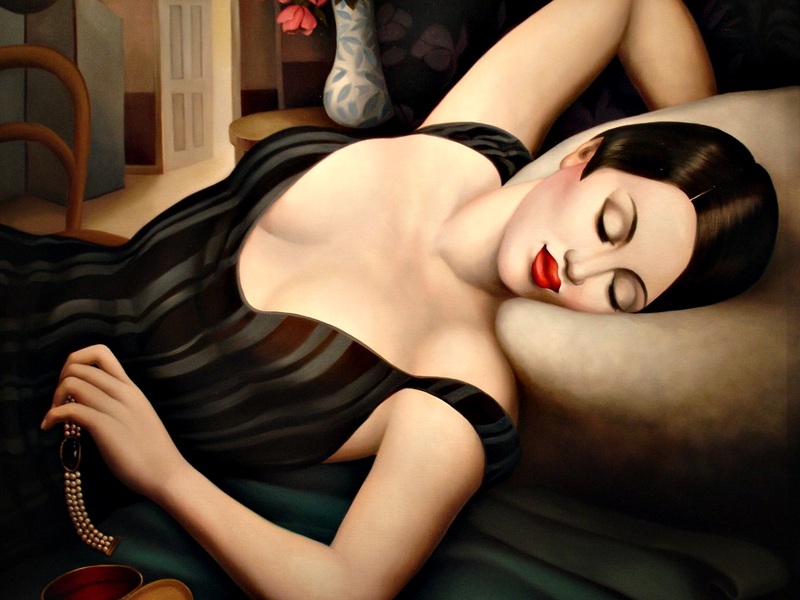 Rachel Deacon was born in 1969. She studied contemporary art at Chelsea School of Art graduating in 1991. Since then she has become a very successful artist with a very singular and recognisable style. Rachel Deacon begins her contemporary paintings with a carefully selected narrative, a short story, poem or extract from a novel from which she draws inspiration. Deacon's resultant painting is not illustrative of that text but echoes the suggestion or idea through a series of drawings before painting the final image. coupled with rich colours, shadow and an ambience of light. She creates paintings which relate back to the classical masters, although the women in her paintings are dressed in clothes drawn from 1920s to post-war.